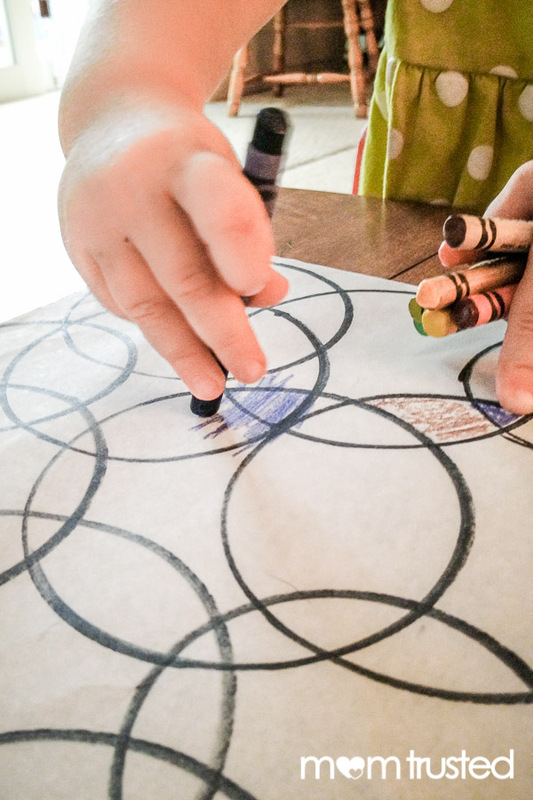 These impressive suncatchers are easy to make – all you need is paper, a black marker, a cup, and some crayons. Note: For a suncatcher that lets more light through, use waxed or tracing paper. 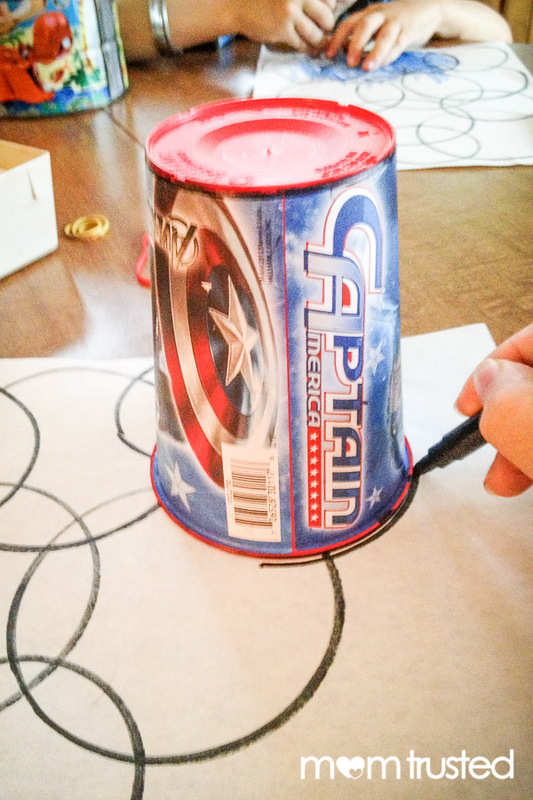 To make the design on your suncatcher, trace around a cup with a black marker. 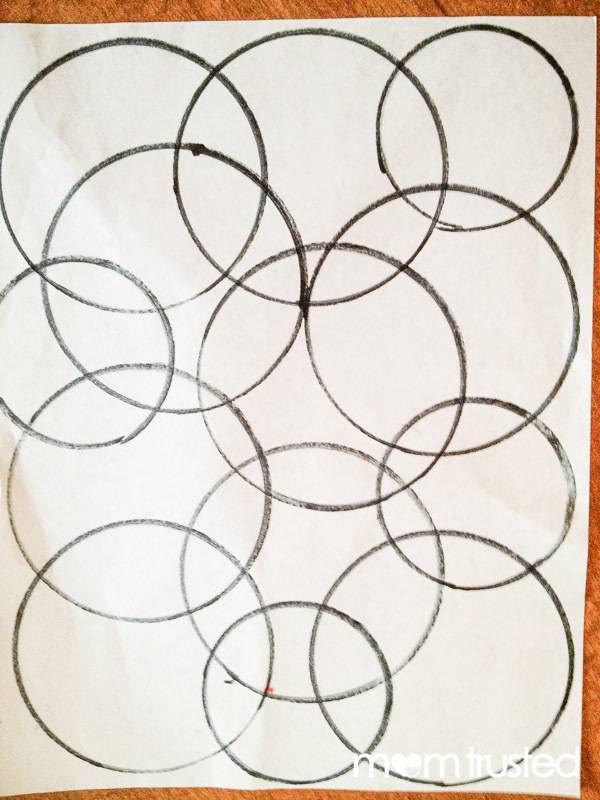 For more varied shapes, you can alternate between the top and bottom of the cup (for different sized circles). 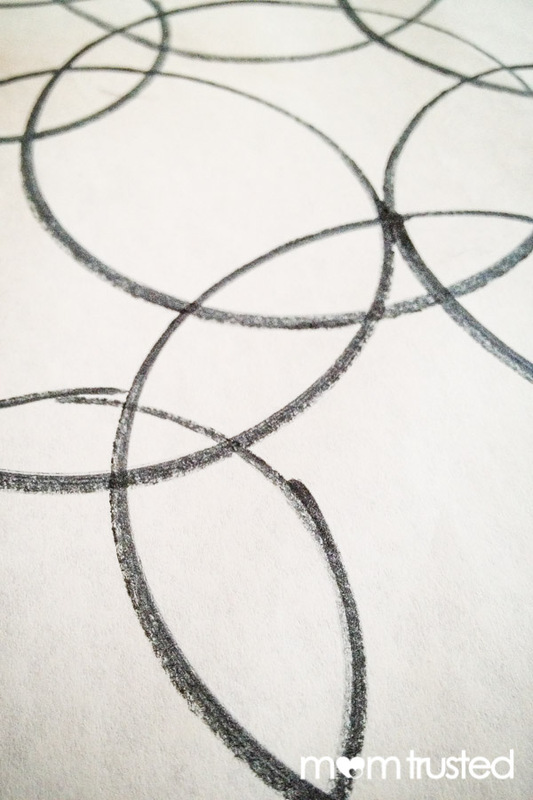 Overlap your circles for interesting shapes of all different sizes. 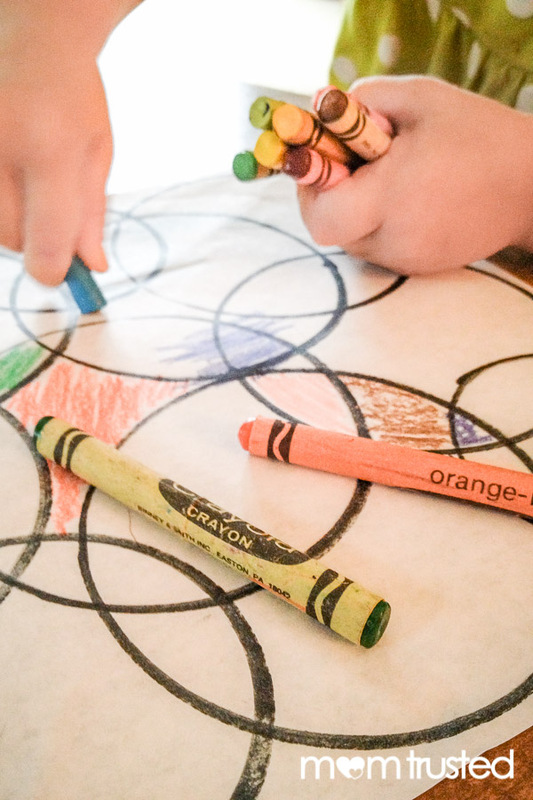 Now show your child how to color carefully inside the lines of each separate section. This is an exercise in patience – you may need to do it in several sittings, as it can take a long time. Try to use lots of different colors for a bright, cheery look. 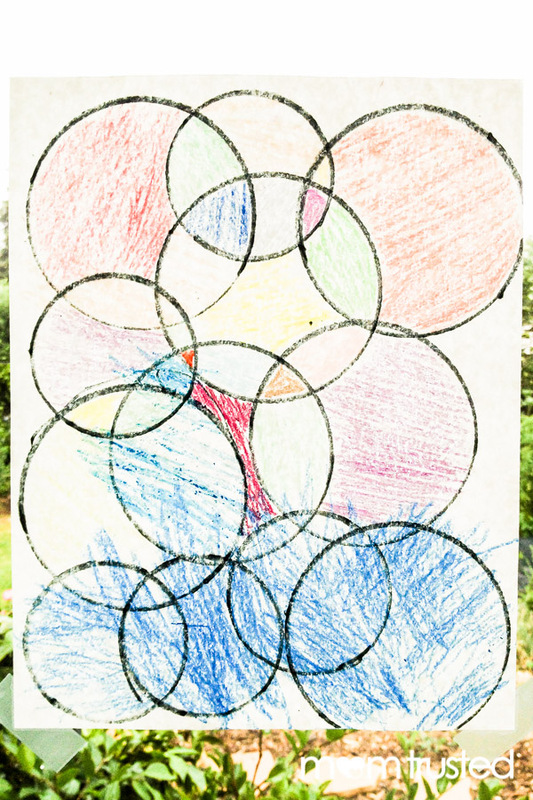 When the spaces are all colored in, tape your suncatcher to a window. Isn’t it pretty?